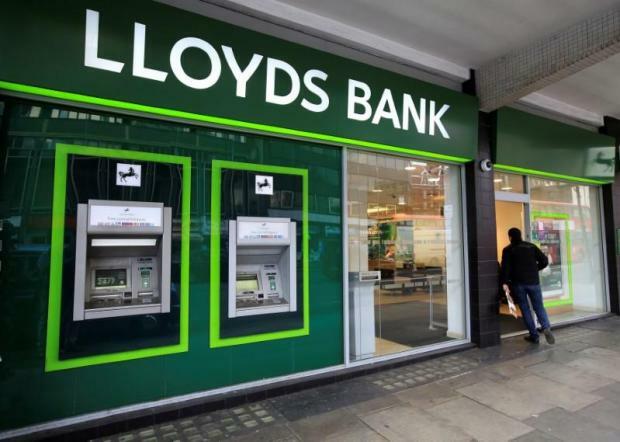 Lloyds Banking Group plans to operate three subsidiaries in continental Europe after Britain leaves the EU, according to a source familiar with the matter, in a sign of how Brexit is fragmenting a banking industry long concentrated in London. Lloyds, Britain's biggest mortgage lender, was widely expected to manage its continental business from one new subsidiary in Berlin. But executives now plan two further hubs to service customers across the European Union, the source told Reuters. One is likely to be in Frankfurt and the location of the second is yet to be confirmed, the person said. The plans by Lloyds - an institution more than 250 years old that has always concentrated its operations in Britain - shows how Brexit is forcing banks to upend history and business models to guarantee they can continue selling their products in Europe. They are part of a wider trend that is seeing lenders distribute their post-Brexit resources among a number of cities on the continent rather than basing the bulk of operations in one place as they have for decades in London. Swiss bank UBS said in March it would pursue a "decentralised" model, in line with moves by Goldman Sachs, Bank of America and JPMorgan. Such plans will incur greater costs and complexity, as each subsidiary needs to be capitalised and licensed by regulators. They run counter to the expectations among many executives and analysts, following Britain's 2016 vote to leave the EU, that banks would each choose one main continental hub to replace London, with Frankfurt, Paris and Dublin the frontrunners. A spokesman for Lloyds declined to comment. Earlier this year, separate sources told Reuters that Lloyds would house its main European subsidiary in Berlin, after converting an existing Bank of Scotland branch that Lloyds inherited following the HBOS takeover a decade ago. The plan to run three continental units has partly been prompted by new British regulations that have already forced UK banks to carve up balance sheets into individually capitalised "ringfenced" and "non-ringfenced" entities ahead of a January 2019 deadline. The rules are aimed at insulating bank depositors from riskier trading activities and protecting taxpayers from having to backstop troubled banks once deemed "too big to fail". To comply with the rules following Brexit, Lloyds needs a second subsidiary to support its non-ringfenced euro bond trading business, the source said. That subsidiary is likely to be set up in Frankfurt, the source said, which is home to Europe's biggest euro bond trading market outside London and offers the bank the best chance of running a smooth service to clients following Britain's expected exit from the EU single market on March 29 next year. The Frankfurt subsidiary will not need a full banking licence but Lloyds has applied to Germany's financial markets regulator for the requisite investment firm licence, the source added. Lloyds is also seeking to establish a third subsidiary in an as yet unconfirmed location to support its Scottish Widows "closed-book" insurance business, which include premium-paying policies from customers based across the European Union. All three subsidiaries will need to be capitalised individually, the source said, but the total pool of capital needed is not expected to be large compared with the size of the group's overall balance sheet. Earlier this year, Reuters reported the ultimate size of the pool of capital carved out to capitalise the Berlin subsidiary was expected to run to the "low hundreds of millions of pounds", representing less than 1 per cent of the bank's overall capital. Lloyds already employs around 300 people in Berlin, including a full management team, finance, risk and human resources staff. It expects to shift no more than a handful of staff from Britain to complement the existing workforce, the source said.